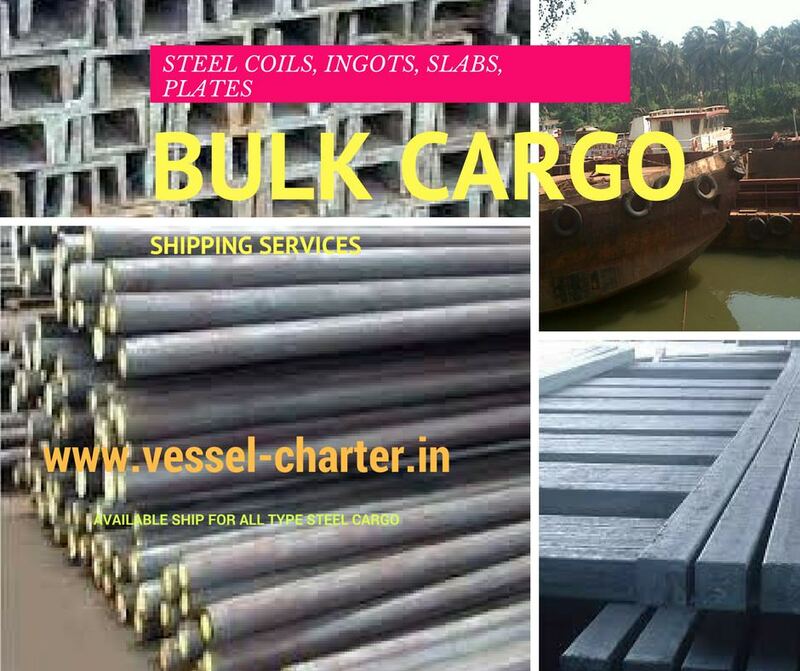 Shipping Services for Steel Coils, Billets, Ingots, Plates etc. We are at your services with complete shipping solution for shipping your Ingots, Billets, and Slabs from any safe world port to other safe world port. We support complete shipping solution by providing a matching ship for your ingots, slab cargo and safely transporting on time at the destination port. We provide ships for loading and transporting above mention cargo. The ships are available with proper cranes to load and unload safely these steel cargo. We also can handle shipping to island location and capable of unloading this cargo safely at port. Your cargo is safe in our hands and will be handled carefully, will be attained by highly qualified and experienced shipping staff. Complete documentation will always be handled by our office to provide one window reply to our valued customer. If interested and wanted one of our staff to handle and provide you with best shipping solution for your cargo, do write to us or can call us anytime.